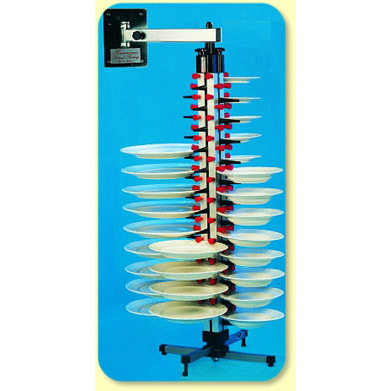 This wall mounted 6 plate tree is especially useful “mate” in kitchens on board ships, RV’s, barside, or the private home. 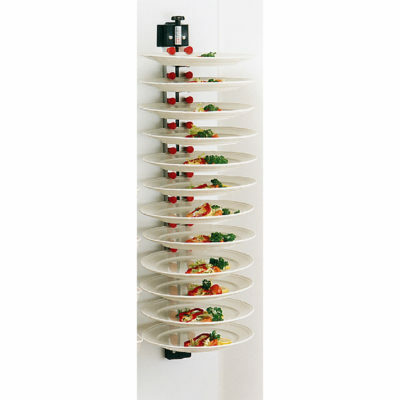 This wall mounted 6 plate rack would be a useful addition for any space in the kitchen where you often need a third hand to hold your plates. 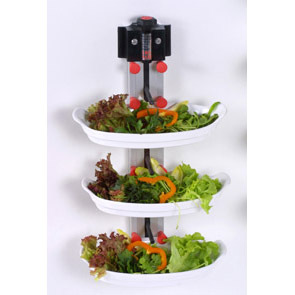 This 6 plate stacker is a true helper in your kitchen when entertaining or in the industrial kitchen, bar, or pizzeria. 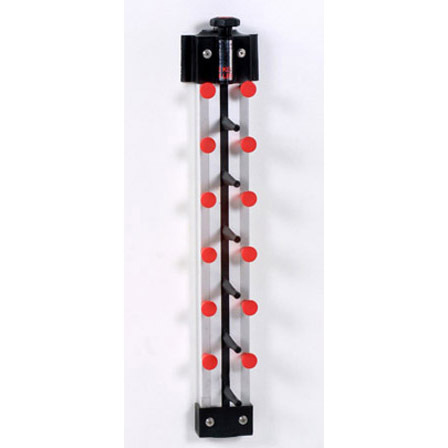 This 6-plate wall rack model can be permanently attached to the wall. 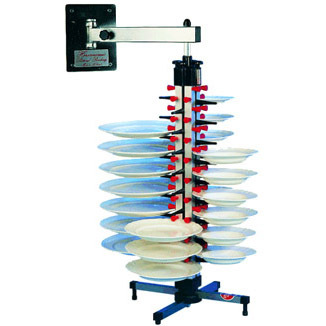 It mounts flush to the wall so there is never a “wobble” to drop your plates. All hardware to mount your Plate-Mate is included. This model is easy to clean with a high pressure washer or with soap suds and a brush. You can also take it off the wall and put it in your dishwasher. This model is perfect for a private home bar. If you entertain frequently, this is perfect for cold hors d’oeuvres so your guests can serve themselves. Now you have time to mingle and visit with your guests.